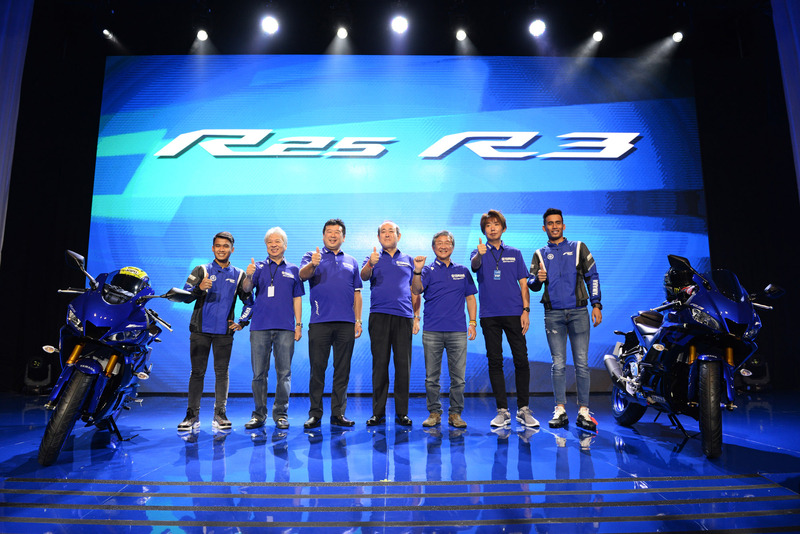 October 12, 2018―Corresponding with the YZF-R1’s 20th anniversary, Yamaha held the “We are R: The Winning Way” R-Series event in Jakarta, Indonesia on October 11 to celebrate the R1’s long history, the R-Series’ achievements in racing and to unveil the new YZF-R3 and YZF-R25 simultaneously with similar events in Thailand and the United States. The event featured Malaysian MotoGP rider and ASEAN motorsports icon Hafizh Syahrin of the Monster Yamaha Tech 3 team, World Supersport 300 class racer Galang Hendra Pratama of the Yamaha Pata | Semakin di Depan | Biblion Motoxracing Team, Yamaha Racing Team ASEAN riders Yuki Ito and Keminth Kubo, who are set to take part in Round 5 of the ARRC series in Indonesia this weekend, as well as riders from several other local Yamaha teams from Indonesia, Malaysia and Thailand. 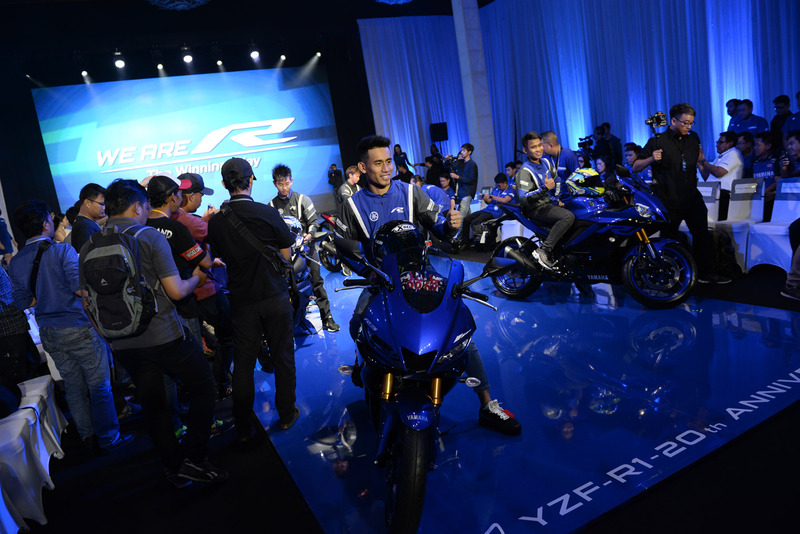 For unveiling the new YZF-R25/R3, the new machines were ridden onto the stage by four helmeted riders, and when the four were revealed to be none other than Syahrin, Pratama, Ito and Kubo, cheers of the attendees filled the venue. 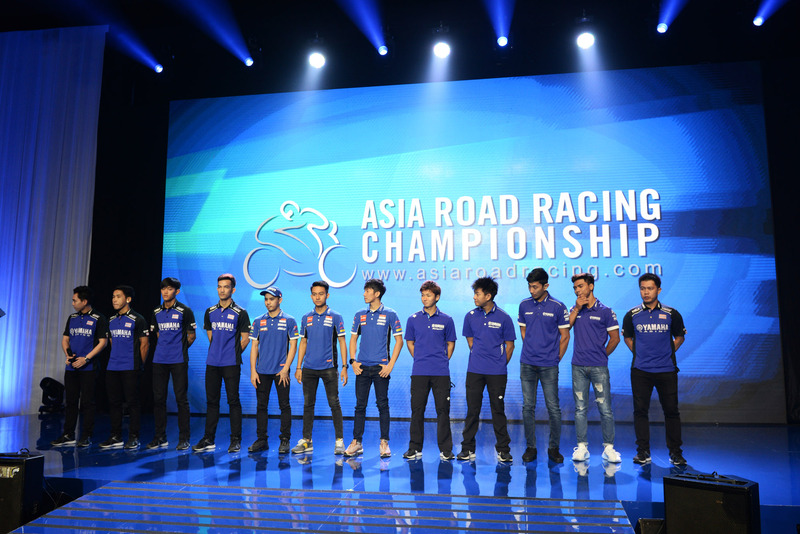 The finale saw all 12 of Yamaha’s ARRC riders come on stage to make clear their intentions to do their best and aim for victory at this weekend’s races. 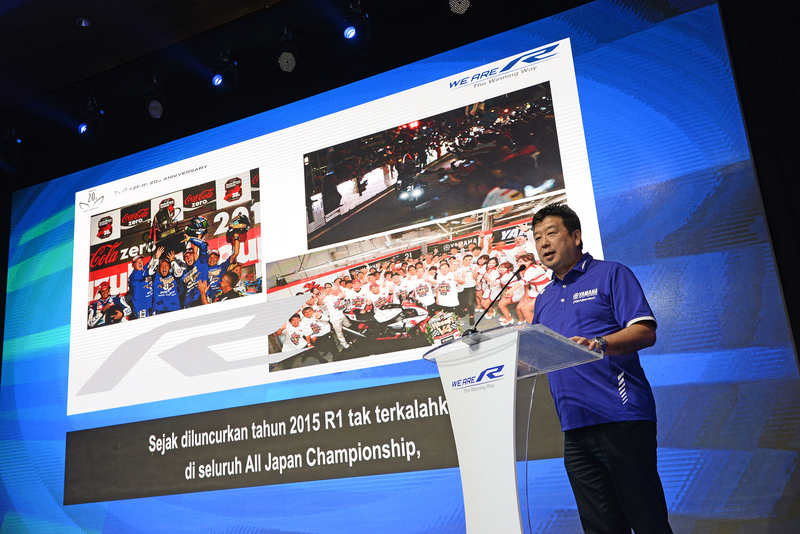 With motorsport becoming ever more popular in the ASEAN region, the event came to a close having sent a strong message of the R-Series’ prowess in racing.